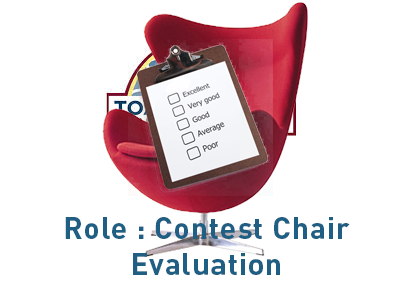 What does the Contest Chair Evaluation Contest do? The Contest Chair is the overall host, and responsible for ensuring the contest is run fairly and efficiently. Note you may also have to fill time as votes are counted, so prepare a table topic session that can be run with the audience. – You could also run a Q&A session with the contestants to allow the audience to get to know them a little better. The cheatsheet below, will help you prepare for the role, download and review this before you come to the meeting. Check our FAQs before you send us your queries.